By analysing the approaches governments and donors are taking, we highlight ways in which progress is being made, and we call on decision-makers to shift mindsets, change ways of working, and invest now in effective integration to improve child health. 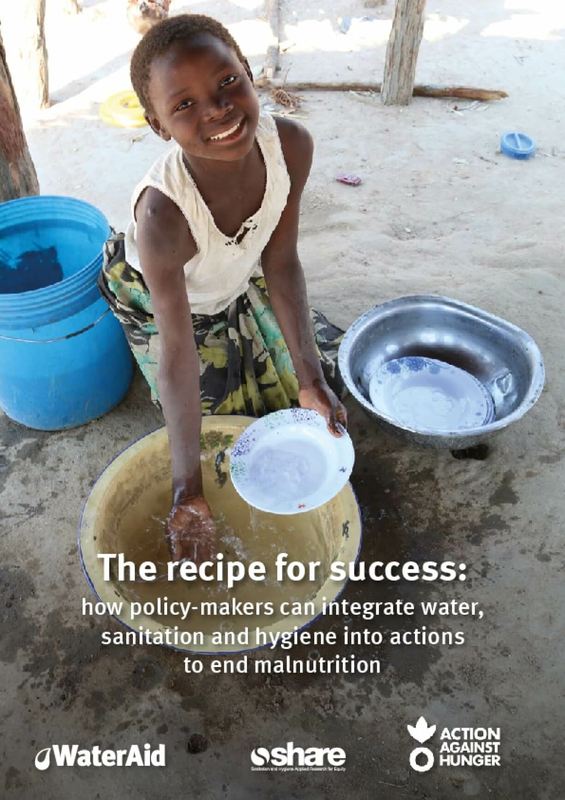 Building on last year's The missing ingredients report, this report highlights why WASH is essential for nutrition, and how this integration could be strengthened. Through an analysis of nutrition and WASH plans and policies in ten countries, we identify gaps and ways of working. The report highlights where there has been effective integration at the policy level and how improvements can be made. It also includes an analysis of donor initiatives and to what extent WASH has been incorporated in nutrition investments.